Posted on September 21, 2017 by thespecimennews	in Human interest, Security and tagged Humanitarian Emergencies, Iraq, USAID. 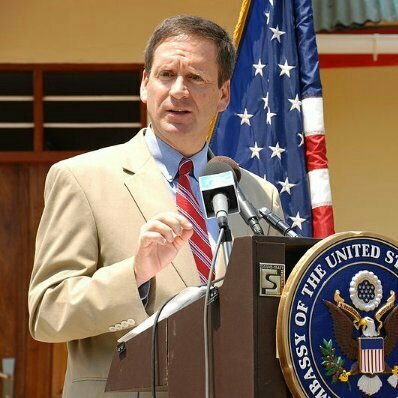 United States Agency for International Development (USAID) Administrator Mark Green on Wednesday announced nearly $264 million in additional humanitarian assistance for the people of Iraq. The United States Government has now provided nearly $1.7 billion in humanitarian assistance for the Iraq crisis since Fiscal Year 2014. The announcement was made in New York at the 72ndUnited Nations General Assembly during a ministerial-level side event on the humanitarian crisis in Iraq co-chaired by the United States, European Union, Germany, and the United Nations Office for the Coordination of Humanitarian Affairs. The event brought the international community together to discuss short-term humanitarian assistance needs and long-term stabilization assistance, as well as ongoing efforts to strengthen civil-society and improve governance and economic management in Iraq. With this new assistance, the United States is providing additional emergency food and nutrition assistance, safe drinking water, hygiene kits, improved sanitation, emergency shelter, basic health care and medicines, and protection for Iraqis who have been displaced. This assistance will be used to help the families and communities displaced by ISIS’ brutal rule, some of whom are returning home to face a host of challenges, including ongoing violence and loss of homes and livelihoods. “As the single largest donor of humanitarian assistance to the Iraq crisis, the United States remains committed to supporting the Iraqi people during their time of need. We commend the significant humanitarian contributions made by other international donors and encourage them and others to continue supporting humanitarian assistance efforts in Iraq,” Green said.